Nellie operated out of at least two different post office locations during her career as postmistress. The first location was situated on East Main St., near where the present building of the Reading Twp., Somerset Fire Department is currently located. The other location was located in the corner of the library and Underwood Hardware. This latter location is the one in which Jim Young recalls visiting as a younger man. Mail used to arrive each day by train, was processed and issued to residents via the post office prior to rural delivery. 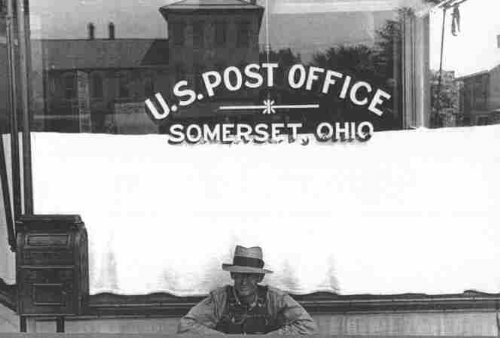 In 1900, per the census, the only other postal employee in Somerset was Amos Helser.